retrouvez la série "battles from the Age of reason" avec ce second opus, une des batailles les plus sanglantes livrées par Frédéric II de Prusse ! 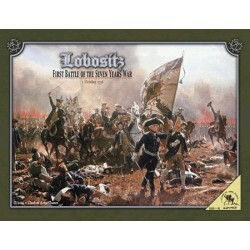 1758 marks a turning point in the Seven Years War. For the first time Austrian, Swedish and Russian forces pose simultaneous threats to the Prussian heartland. 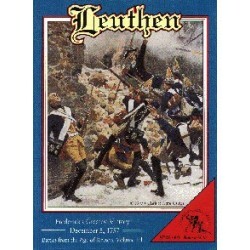 By mid-August the Russian offensive crests on the Oder River, laying siege to the fortress of Cüstrin. 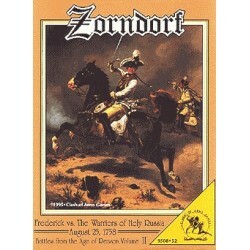 Force marching from Silesia through blazing summer heat, Frederick races to bring about a decisive battle. On 25 August near the village of Zorndorf 43,000 Russians and 36,000 Prussians fight one of the most savage battles of the war. For nearly 10 hours they hammer one another, yet by day's end neither army yields, despite staggering losses - nearly half the Russians and one-third of the Prussians were casualties. Finally, both armies limp away, each claiming victory: the Russians back into Poland; the Prussians to Saxony and a new Austrian threat. 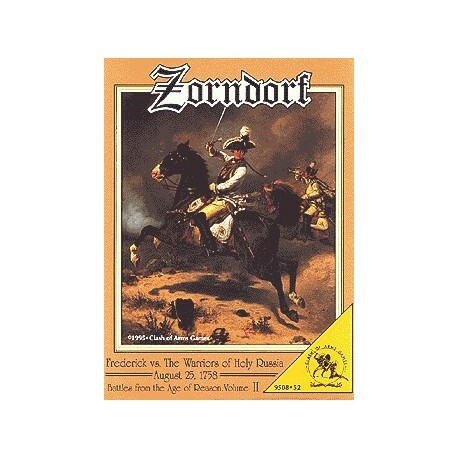 Zorndorf is the first ever simulation of this fascinating battle. Frederick's Royal Army is an experienced and highly trained fighting machine but numerically inferior to Count Fermor's Imperial Russians. Diverse in quality and command, the Russians compensate for their lack of "Western military professionalism " with sheer tenacity. 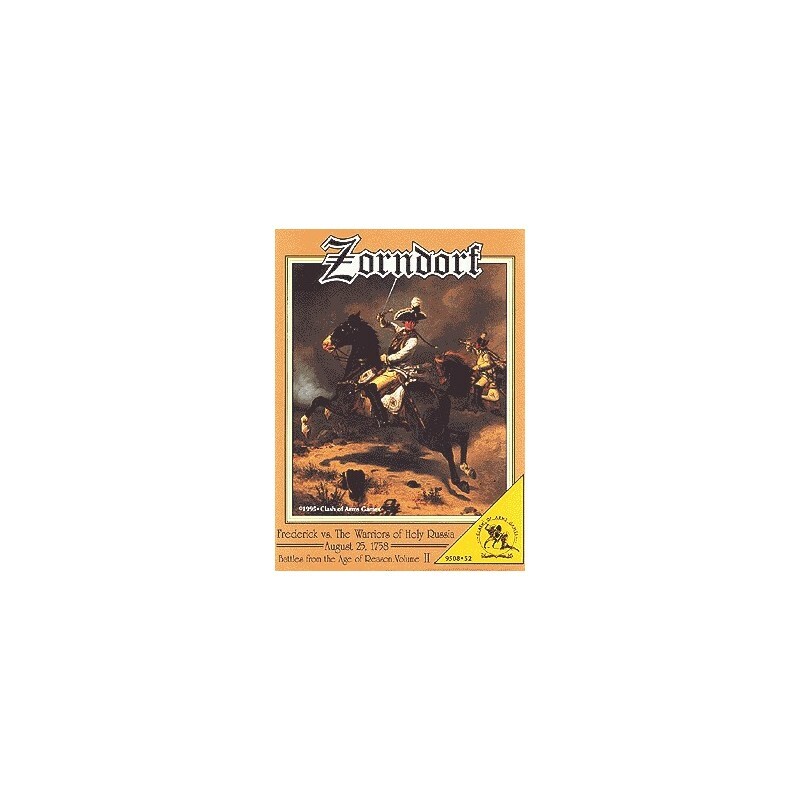 Zorndorf features three stunning 34" x 22" maps, over 400 counters and multiple scenarios using one, two or all three maps covering the entire battle, including "what if" situations. retrouvez la série "battles from the Age of reason" avec ce troisième opus, la plus grande victoire de Frédéric II de Prusse ! La première bataille livrée par "le grand Frédéric" de Prusse ! 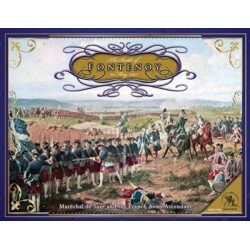 Un jeu de la série Battles from the Age of Reason sur la fameuse victoire française de Fontenoy.